Adorable and so gorgeous Sylvie...Welcome to the team. Huge congratulations, Sylvie! I'm so pleased for you, as your cards are always beautifully created. Congrats on your DT position, not surprised they picked you though as your cards are amazing!!! This one is just too cute!!! Huge Congrats Sylvie on your new DT post. This is a wonderful card. Love the images and the colour and layout is super. Yep we've been having amazing weather, just can't believe it. This is beautiful Sylvie. I love the cute bears and the colours and design are gorgeous. This is gorgeous Sylvie, I love those cute teddies. The papers and flowers are beautiful and the layout is fabulous. so gorgeous Sylvie.i love your colours and really adorable bears. 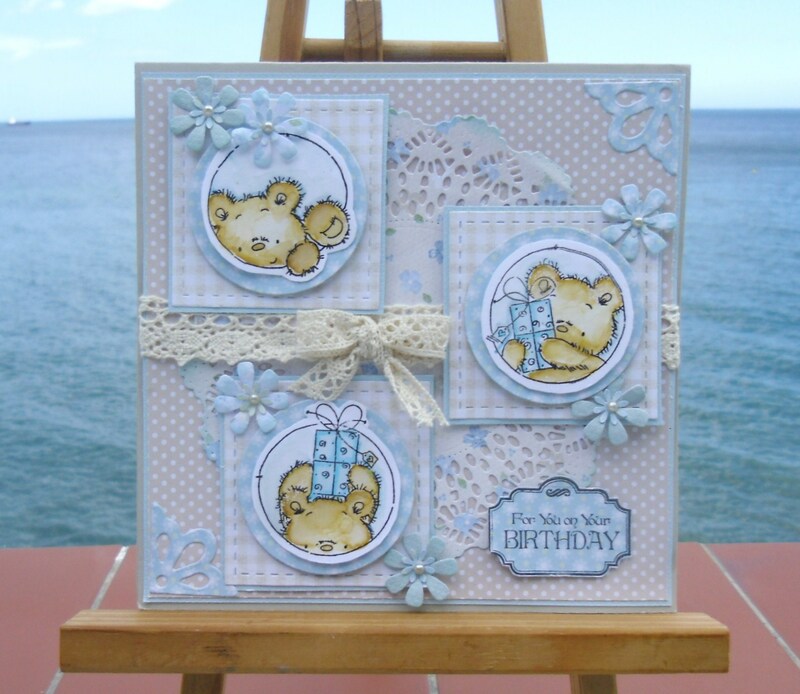 Congratulations on your new DT post, they are lucky to have you, this card is gorgeous, I like the wee bears and the design. 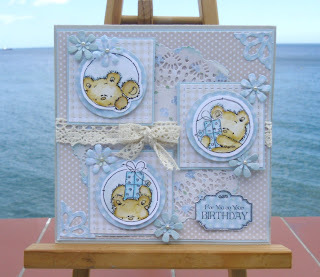 Gorgeous card Sylvie, love the cute images & pretty design. Great to have you on the team Sylvie. Sorry it has taken me so long to pop over. Absolutely gorgeous card. Love those little bears and great layout. A bit cooler yesterday and so far today :) its too hot for me!